What versions of SSMS does ApexSQL Complete support? Which SQL Server versions are supported? What SQL Server editions are supported? 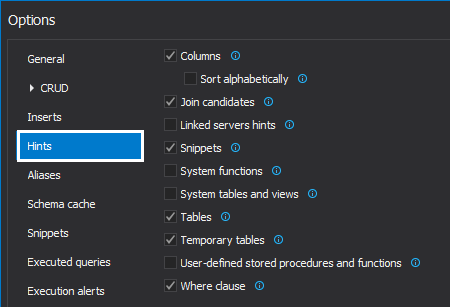 Does ApexSQL Complete support Azure SQL Database or SQL Server on Amazon RDS? 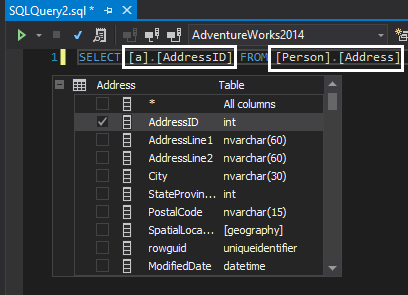 Can all ApexSQL add-ins co-exist in a single SSMS instance? I have multiple SQL Server versions. Can the add-in run on all of them? 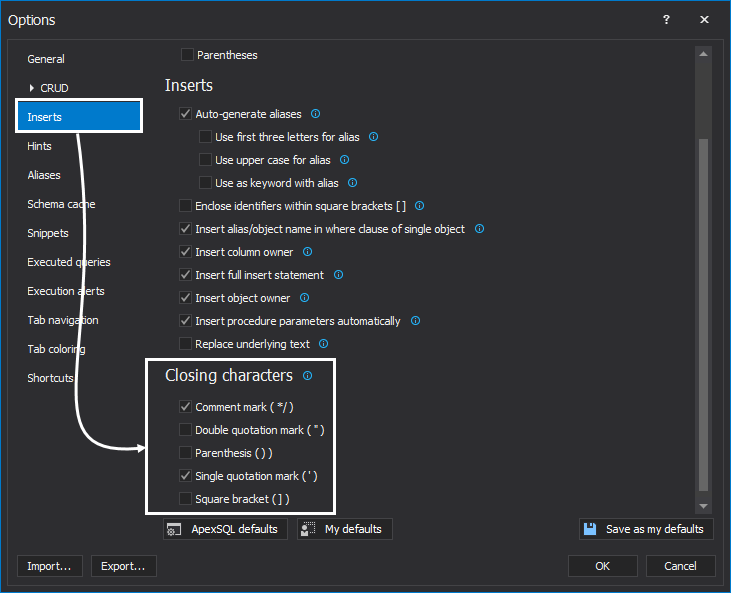 What Visual Studio version does the add-in support? 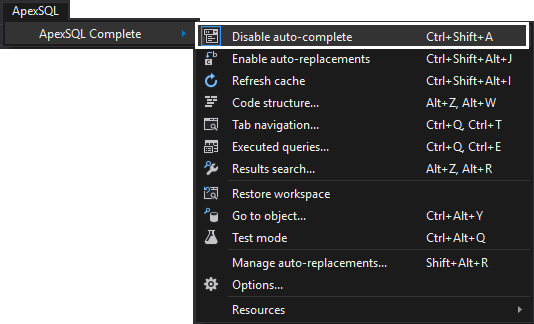 Can the add-in run on multiple versions of Visual Studio? 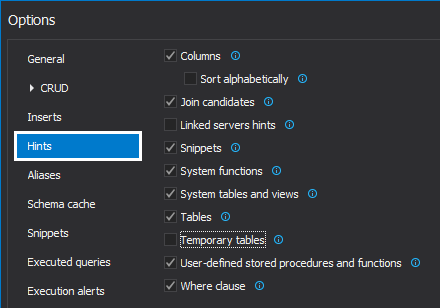 Can I remove ApexSQL Complete from Visual Studio while retaining them in SSMS? Does the add-in support encrypted objects? Is it possible to disable the auto-complete? 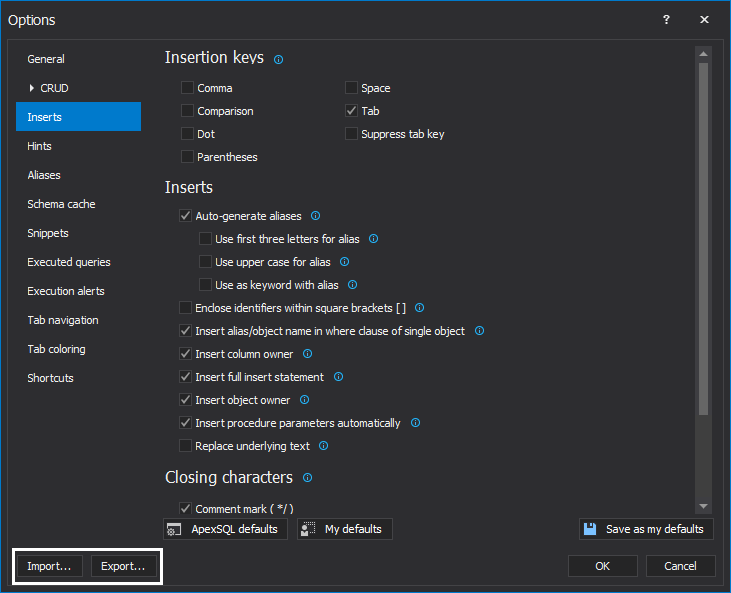 Can I use another key to insert an item from the auto-complete list? Can I set my own aliases? Can I control the formatting of the auto-completed code? 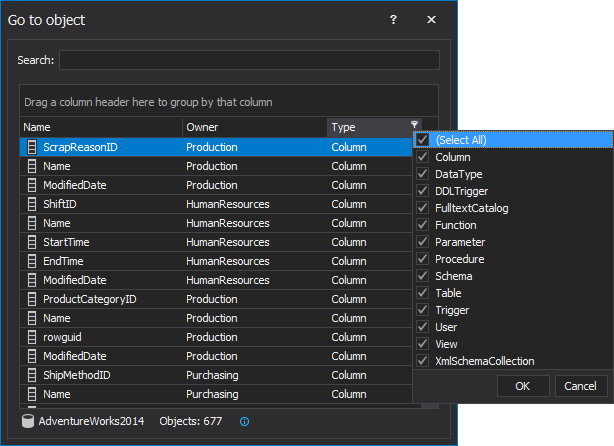 In the ApexSQL Complete menu, click Options and navigate to the General tab. 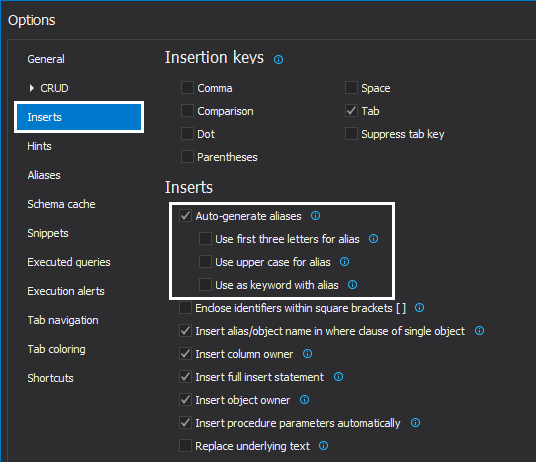 The automatically inserted keyword's case can be specified there. Can I control when the auto-complete list will pop-up? How do I invoke auto-complete manually? How can I navigate through auto-complete list? Can the auto-complete list be made transparent? How can I make ApexSQL Complete run faster? Can I speed up the process of loading hints? 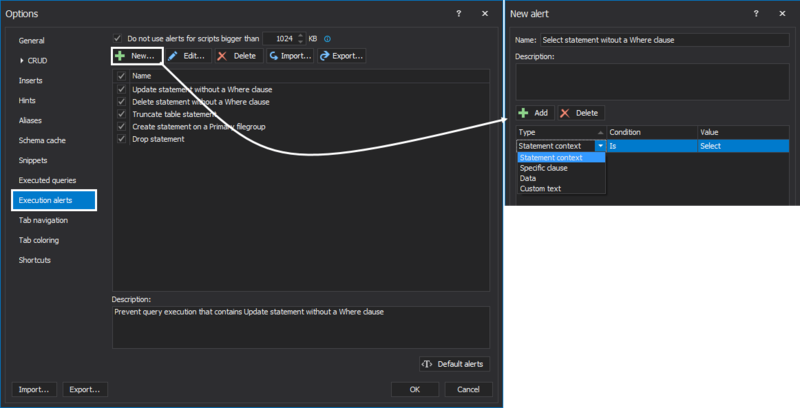 Can I see the SQL script of the selected object in the hint list? Are there options for closing characters such as quotation marks, parenthesis? Are there options for setting the aliases? 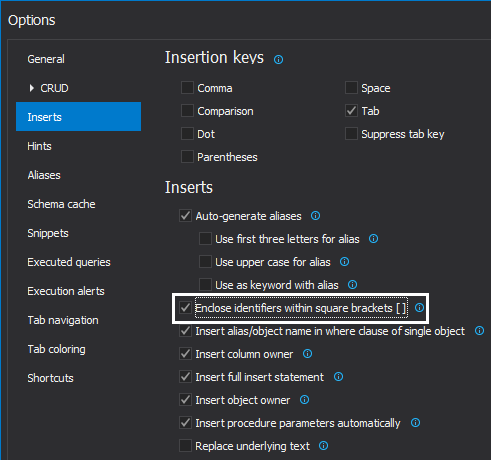 Does ApexSQL Complete have option to automatically enclose identifiers in square brackets? Can I create CRUD procedures e.g. Create, Insert, Update, Delete? Can I replace any text with the appropriate keyword? Yes, using the Auto-replacement feature you can speed up coding assigning and auto-replacement token, for common typing mistakes (e.g. Adress -> Address), frequently used SQL commands (e.g. Create table), frequently used objects, etc. What is the difference between auto-replacements and snippets? Can I export data from the Result grid into Excel? Can I convert the data from the Result grid to some other format (e.g.HTML)? 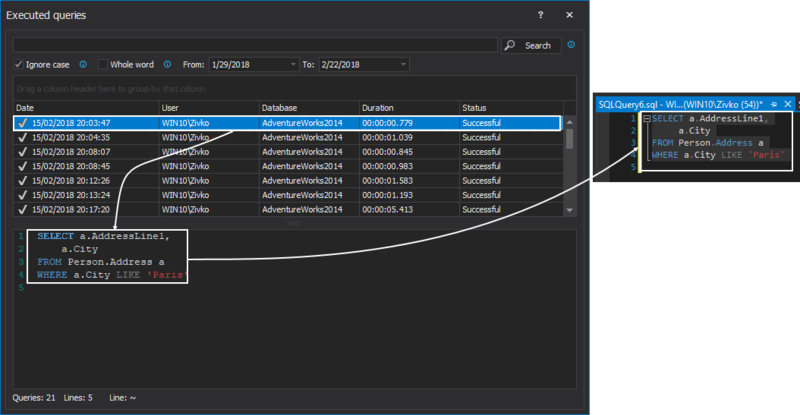 The Copy query as XML, CSV, and HTML option allows you to copy the results from the SSMS/Visual Studio results grid and paste it into one of three mentioned formats. 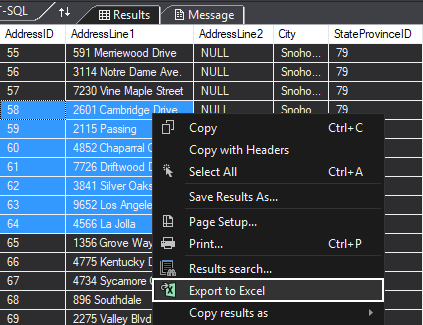 With the Copy result as Insert statement option, a user can copy data from Results grid into clipboard as Insert statements for the future use. Can I export my (settings) options and import them to another machine? Can I search data in the Results grid of SSMS/Visual Studio? How can I find an object in the Object Explorer pane? 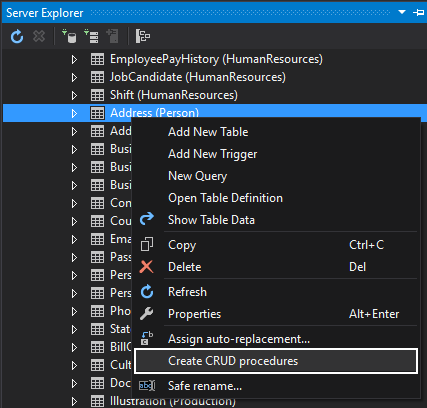 Can I find SQL Server database object in the Object Explorer pane form a query window? 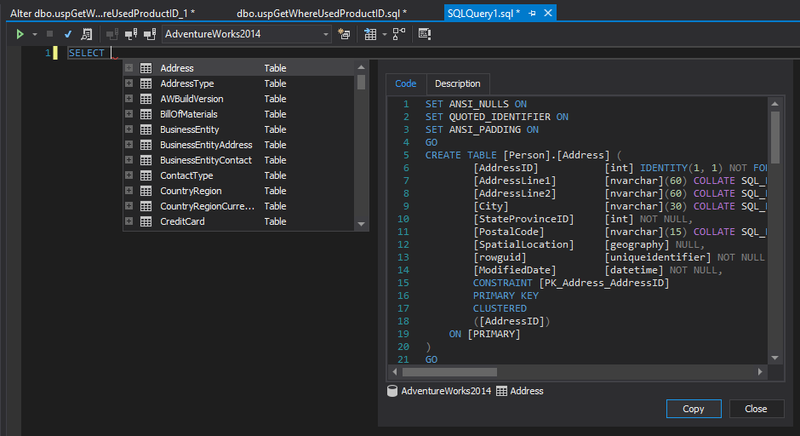 Does ApexSQL Complete support creating SQL snippets? Can I share SQL snippets with others? Can I create SQL snippet from a query window? Can I prevent execution of potentially dangerous queries? Can I set my own rule that will block query to be executed? 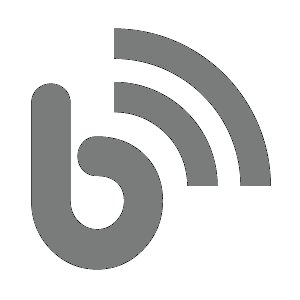 Can I share execution alerts with others? Can I execute SQL statements without making any changes in a database? How can I know that the Test mode feature is activated? Can I track opened and resent closet queries? Is the Tab navigation feature by default enabled? 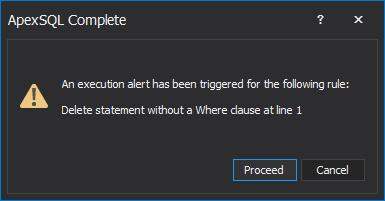 Is there an option to restore a previously work after SSMS/Visual Studio crashes? Can I set/change connection color of the query tabs? 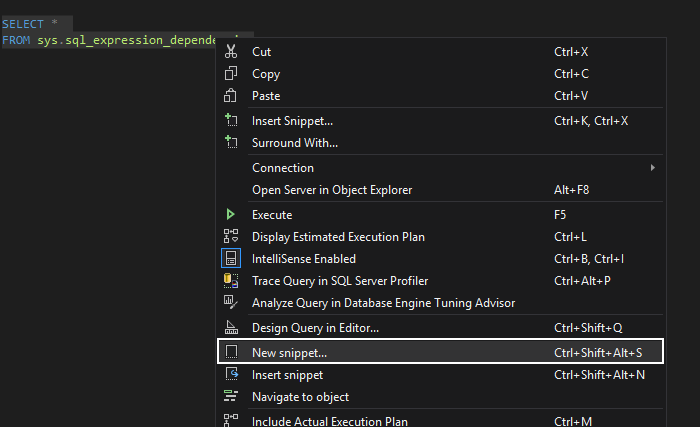 Is there a feature that will collect all my executed queries over a time? Can I reuse executed SQL queries? 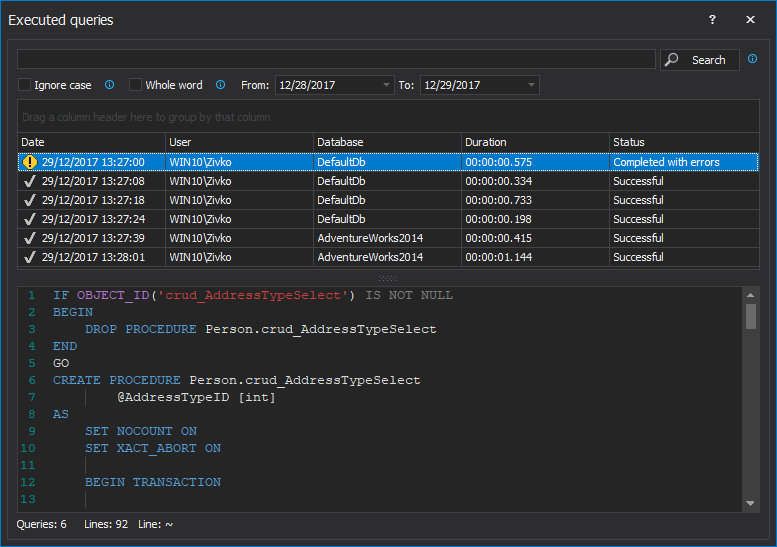 Is ApexSQL Complete a free tool?